Beautiful floral arrangement proposed by our florists. Designed to brighten up the home of friends or relatives suitable for a birthday party of a saint's day or simply for the pleasure of sending flowers to your loved one. 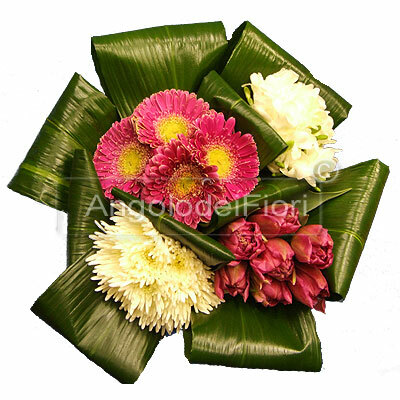 This bouquet includes 4 groups of different flowers finished with leaves. * Vase not included. You can add one in the next step.